D'ALESSIO(12). HBP - T. THOMAS. SH - HALLBERG(14). SF - O'CONNOR(2). SB - T.
Win - HENRY (13-0). Loss - MOSKOS (3-4). Save - None. WP - MOSKOS(6); VAUGHN(1). HBP - by MOSKOS (T. THOMAS). swinging. 2 runs, 3 hits, 0 errors, 3 LOB. center. 1 run, 1 hit, 0 errors, 0 LOB. Florida State 4th - ANDERSON flied out to cf. GILDEA grounded out to ss. 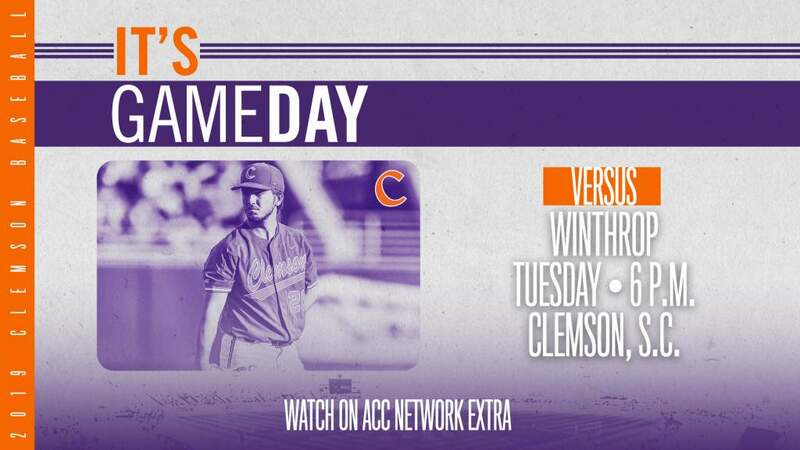 Clemson 5th - MITCHELL grounded out to 2b. BURGESS flied out to cf. JOHNSON popped up to p. 0 runs, 0 hits, 0 errors, 0 LOB. RBI; REICHERT advanced to third; GILDEA scored. VAUGHN to p for MOSKOS. HALLBERG struck out swinging. 2 runs, 4 hits, 0 errors, 2 LOB. pitch, unearned. T. THOMAS doubled down the lf line. ZOLTAK to p for VAUGHN. out swinging. 6 runs, 6 hits, 1 error, 1 LOB. through the right side; JOHNSON advanced to third. SMITH struck out looking. fouled out to 3b. 1 run, 2 hits, 0 errors, 1 LOB.